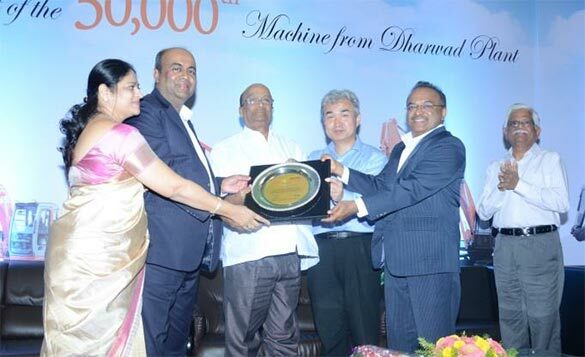 Tata Hitachi’s Dharwad plant announced the roll out of its 50,000th machine today. The EX200LC Super series hydraulic Excavator was handed over to Mr. R N Nayak and Mr. Dinesh R Nayak of M/S DRN Infrastructure, Hubli. M/s DRN Infrastructure has a formidable reputation of being pioneers in irrigation and road works in Karnataka and Maharashtra. Deploying over 100+ Tata Hitachi machines in their projects, DRN Infrastructure has a very longstanding relationship with Tata Hitachi. 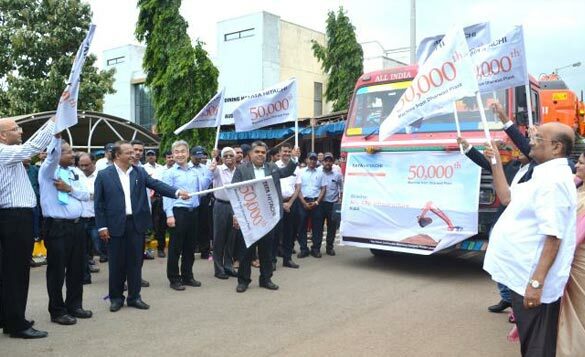 In tune with the company’s philosophy of giving back to society, the sale proceeds from this machine will be deployed towards community development initiatives across all Tata Hitachi plant locations. 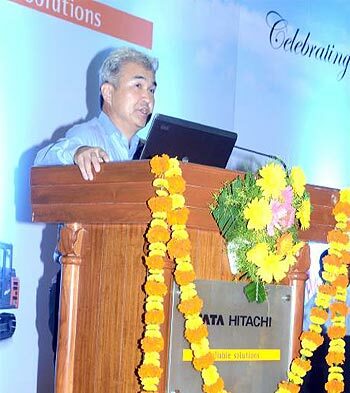 Spread over an expanse of 118 acres, Tata Hitachi’s manufacturing facility in Dharwad started operations in 1998. 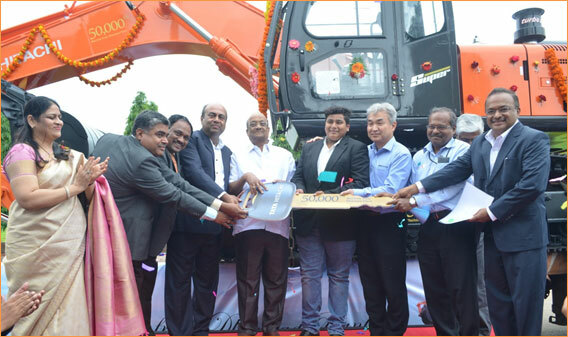 Catering to the Mini and Midi Excavator and Backhoe Loader segments, 60% of Tata Hitachi’s production is rolled out from the Dharwad Plant. The plant has a unique plant-in-Plant (PIP) concept with vendors. Currently the plant has PIP for fabrication, Gears, Hoses and pipes manufacturing. 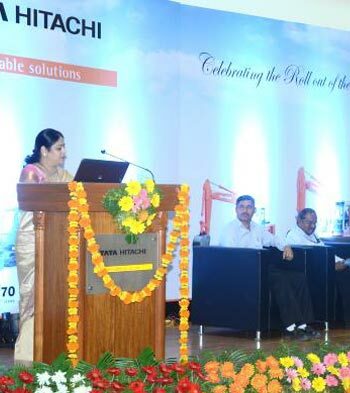 Tata Hitachi Dharwad is certified to ISO 9001:2008, ISO 14001:2004 and OHSAS 18001:2007 standards which reflects its commitment to Quality, Environment and Safety.